By Catherine on January 1, 2012 | Last Updated October 12, 2018 | 6 Comments | Medical Disclaimer | This Post Contains Affiliate Links - I may receive a commission if you purchase through links in this post. 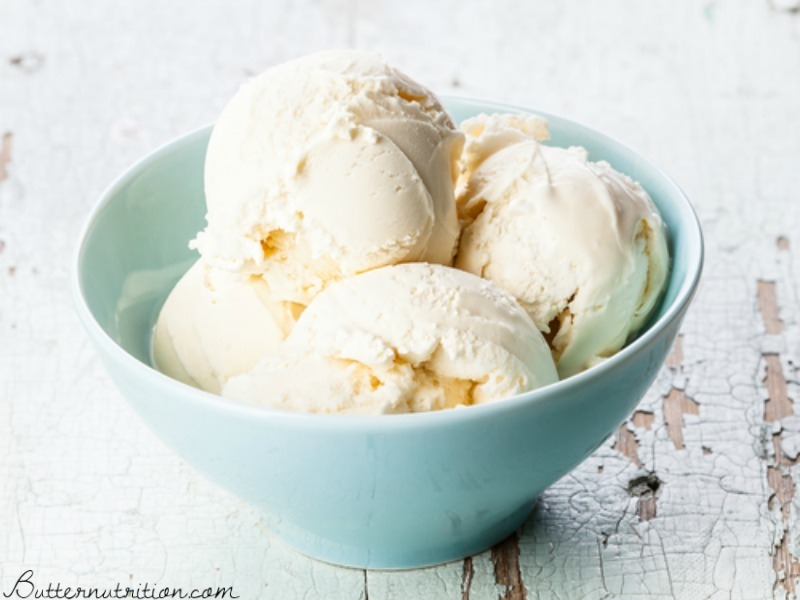 This raw milk ice cream recipe is so satisfying and nutritious! I often use it as a dinner substitute when I am too lazy to cook. It’s full of fat soluble vitamins A and D, calcium, and a solid dose of saturated fat. 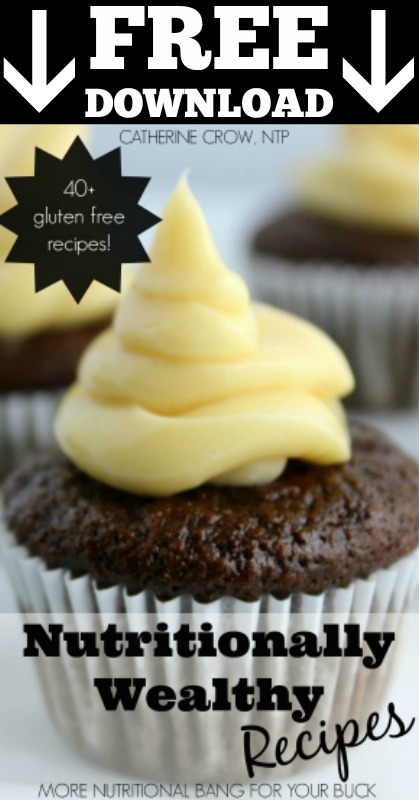 Note: This is a no-heat recipe. Chocolate chip mint ice cream: crushed chocolate chips (I like chopping this), and blend in a handful of mint leaves. Maple walnut ice cream: eliminate vanilla, use maple syrup as sweetener, and add crushed walnuts. 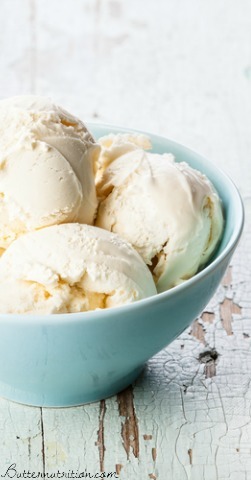 Salted caramel ice cream: adjust salt to about 2 teaspoons. Melt 1 cup white sugar on medium until liquefied, then immediately add 1 cup of cream and stir until caramel creates a silky sauce. Let sauce cool completely before adding to the ice cream base (to avoid cooking the egg yolks). The caramel sauce takes a little practice to perfect. Click here more information about the benefits of raw milk and here to find some in your area. I have a serious peanut butter obsession. How can I make this and add peanut butter ribbons to it? If it were me, I would make a chocolate ice cream, and then just spoon in peanut butter after it’s in the ice cream maker. Let me know how it turns out! Also, my gelatin is not water soluble. Does that matter? Thanks Heather! I haven’t tried it with regular gelatin. Regular gelatin tends to be harder to digest when not dissolved in a hot fluid, where as the collagen hydrolysate can be used more like a protein powder. If you try it, let me and the other readers know how it works out! Hello, can I ask why you use the Collagen? I have it but want to know if it makes the ice cream not so rock hard after sitting in the freezer.